This course will survey the technological advances in papermaking, illustration processes, composition, printing, binding, and distribution which fueled the development of the modern book industry. It will also give an overview of those phenomena—William Morris and the modern fine press movement, artists’ books, the rise of book-clubs and organized bibliophily—which have arisen to balance this industrialization. The class will make extensive use of books and periodicals embodying the advance of printing in the West since 1800, as well as the plates, tools and other artifacts that enabled that advance. This course concludes the RBS sequence of history of the book courses beginning with The Book in the Manuscript Era (H-20) and continuing with The Printed Book in the West to 1800 (H-30). The course is intended for those with a strong native interest, but little formal study, in the art and history of the modern book. In their personal statement, applicants should describe the nature of their developing interest in the history of the book and (if relevant) explain briefly the causes of this interest and the purposes to which they propose to put the knowledge gained from the course. Eric Holzenberg teaches this course. 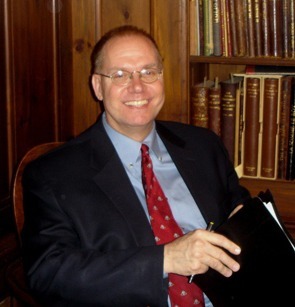 Martin Antonetti teaches a precursor course, "History of the Printed Book in the West." Beginning in 1999 the course is split between H-30 (to 1800) and H-40 (since 1800). Eric Holzenberg is Director of the Grolier Club in New York City. He is the author of The Middle Hill Press (1997). He has taught a version of H-40 at RBS since 2001, and has also taught courses on rare book cataloging and rare book librarianship.